rand new. 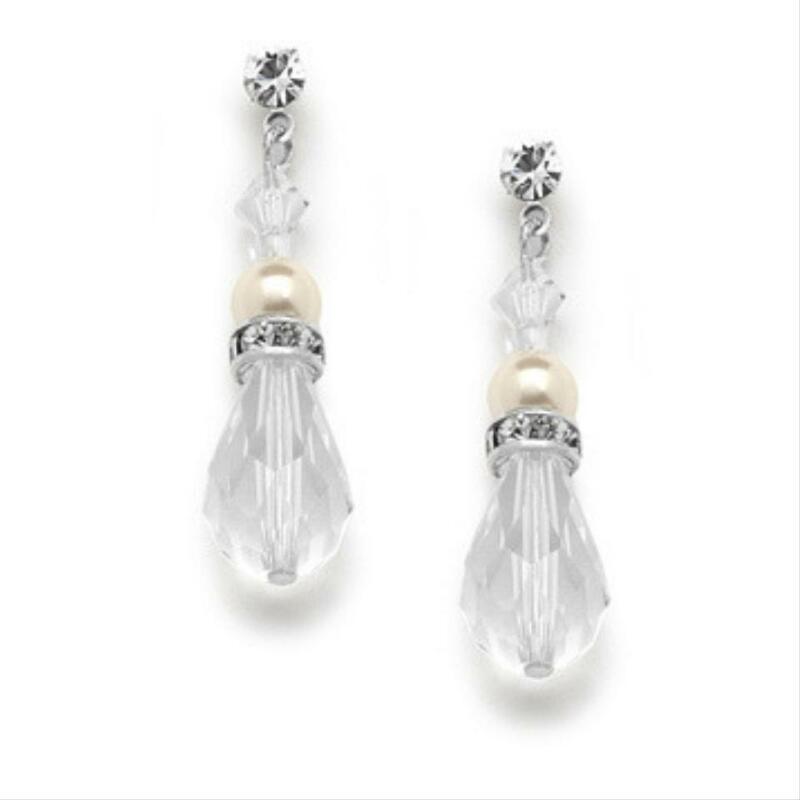 This elegant 1 1/2" h teardrop earrings boast sterling silver plated crystal studs with 6mm White pearls, sterling plated rondels & crystal teardrops.This listing is for ivory pearl. Earrings also available with white pearl. 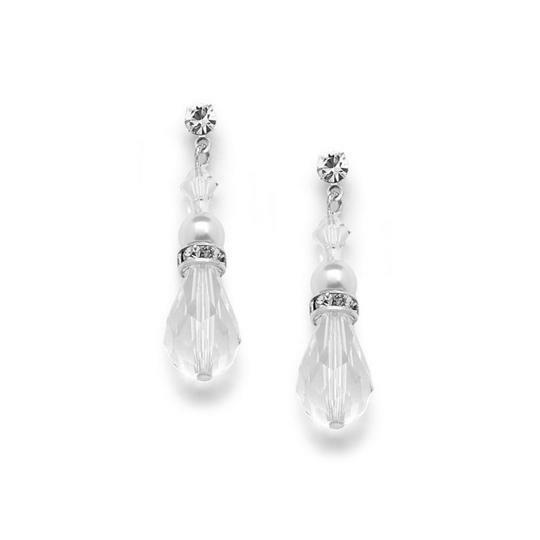 These earrings are beautiful worn alone or with our matching couture "back" necklace! Message for more info. Free shipping within the USA.